Martin Beck, We were simply delegates in Aspen, 2008. 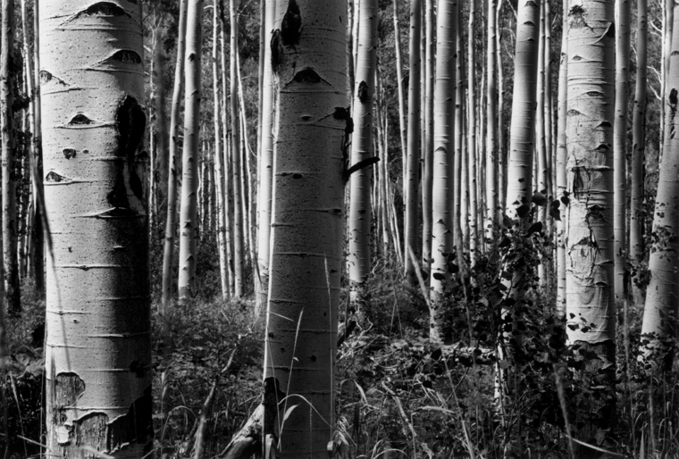 The Aspen Complex documents a set of interrelated events and projects from the fields of design, ecology, and art. 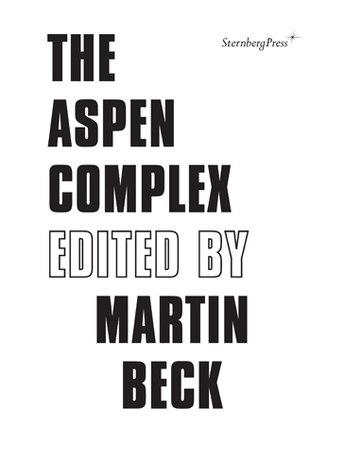 Edited by Martin Beck, and featuring contributions from Felicity D. Scott, Alice Twemlow, and Sabeth Buchmann, the Aspen Complex brings together historical and theoretical reflections on the pivotal International Design Conference in Aspen (1970), and its accompanying development of a pioneering image-based travel system called the Aspen Movie Map, among other projects. These projects formed the basis of an exhibition organized by Beck (Gasworks, London, 2008; and Columbia University's Arthur Ross Gallery, New York, 2009), which will be also be discussed and visualized in the finished book. Martin Beck is an artist whose exhibitions and projects engage questions of historicity and authorship, while drawing from the fields of architecture, design, and popular culture. A leitmotif in Beck's practice is the notion of display: his works often engage histories of exhibition-based and communication formats that, on a material level, negotiate display's function as a condition of image-making. Recent exhibitions and projects include Remodel at Ludlow 38 in New York (with Ken Saylor) and Communitas at Camera Austria, Graz (2011); contributions to the Twenty-Ninth São Paulo and the Fourth Bucharest Biennales (2010); and Panel 2:"Nothing better than a touch of ecology and catastrophe to unite the social classes" at Gasworks, London (2008). Beck is the author of About the Relative Size of Things in the Universe (2007), An Exhibit viewed played populated (2005), and the forthcoming The Aspen Complex (2012).